With this application you can try on vintage rings without leaving your house. You can pick the style, cut and gem carat size then take a photo and share it with your friends via favorite social media. 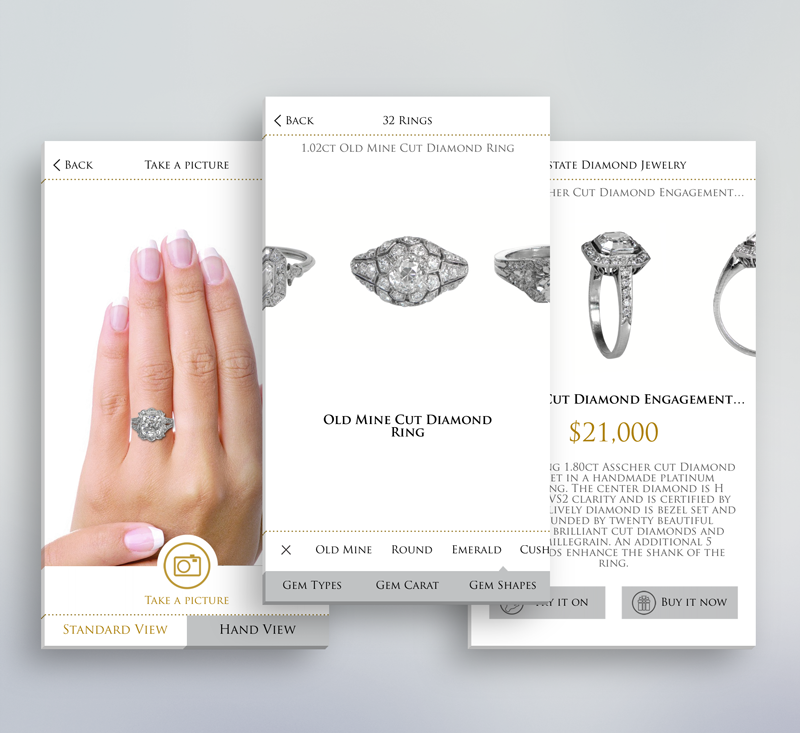 The application also enables the client to easily update inventory and add all the essential information about the rings that potential buyers need.